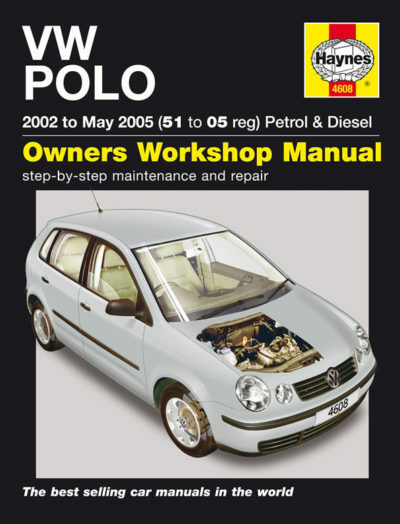 Product code: 4608 Kategorier: Engelsk verkstadshandbok, Volkswagen. Petrol: 1.2 litre (1198cc) 3-cyl and 1.4 litre (1390cc, non-FSI) 4-cyl. Diesel: 1.4 litre (1422cc) 3-cyl and 1.9 litre (1896cc) 4-cyl, inc. PD TDI / turbo. Does NOT cover models with 1.4 litre FSI, 1.6 litre or 1.8 litre petrol engines, or features specific to ‘Dune’, ‘Fun’ or ‘CrossPolo’ models.